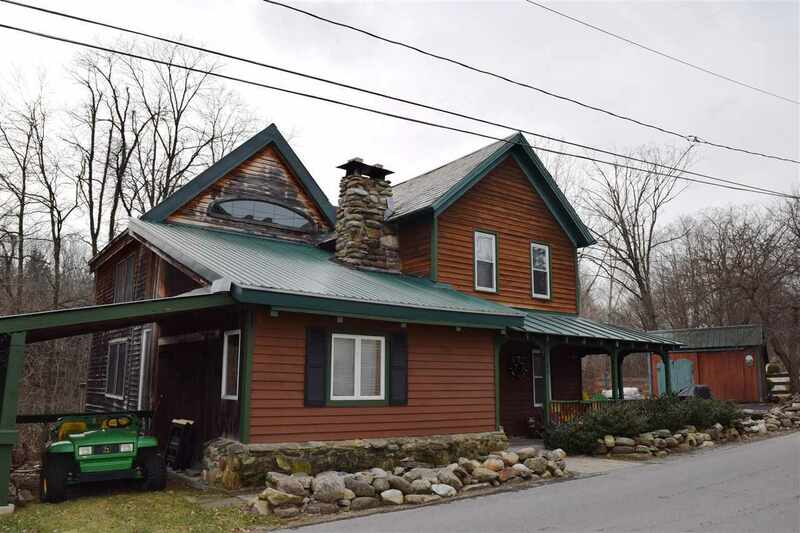 This country style village home has the perfect mix of exposed posts/beams and is loaded with exceptional character. For the best gathering spot for friends/family, you'll find the sloping backyard path leads you to the ultimate extremely private park like back yard by the creek. The ambiance is enhanced by the Kayaderosseras Creek's soothing sound of flowing water. Updated wiring & newer high efficiency natural gas furnace. New shingled roof 2019. This sale includes 2 parcels. Easy to show.